These rectangular containers have a handle for easy handling. Their shape makes for space saving storage. Heavy duty to hold industrial solvents, automotive oil and household products. 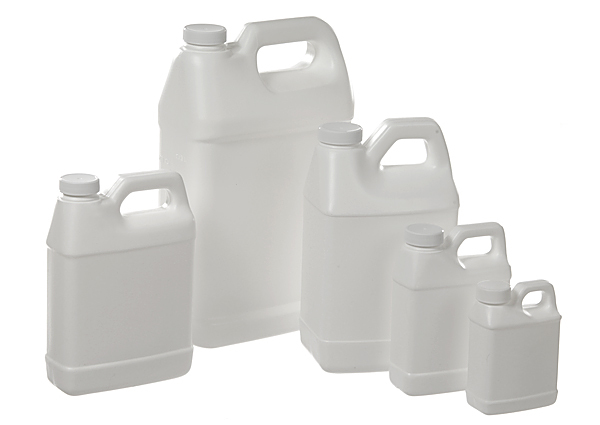 These HDPE containers include a white polypropylene cap. Available in 8 oz. through 2 1/2 gallons.